March 29 and 30 at 8:00 p.m. in Olde Club, a crowd sat and stood packed in shoulder to shoulder as they waited in anticipation for the opening of the show. Having already perused and snacked through the arts installation in Kitao, the audience moved to the main show of the night. Olde Club was decorated with dramatic mood lighting and the floor in front of the stage was littered with blankets and pillows for those who were too late to get seats. As the lights dimmed, the crowd roared, excited to see where the next hour and a half of multifaceted performances would take them in this year’s festival. In this year’s Revolution Festival, race and the arts were brought together in a globally inspired and stunning performance of dance, acting, and singing. This is the second year of the Revolution festival, commonly known as RevFest, and its acts were as numerous as they were stunning. 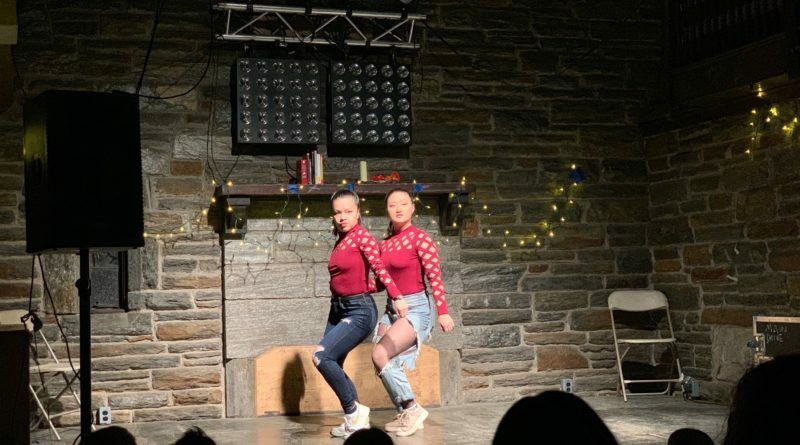 The festival was started last year by Emma Morgan-Bennett ’20, the festival aims to create a space where performers could “perform something special to them rather than something that was handed to them” as stated by Shelby Billups ’20 who with Zaina Dana ’21 produced the show. The show had many powerful moments. One of the standout performances was a one act play “On the Low,” loosely based off of Shakespeare’s Othello. The show, written and directed by Maya Henry ’21 and Alexis Riddick ’20, tackled topics of religion, sexuality, and race. The one act follows a female Othello (Thandiwe McMillan ’20) who is in a relationship with the pastor’s daughter Desdemona (Youogo Kamgaing ’22). As in the original play, their relationship is torn apart by Iago (Hope-Elizabeth Darris ’21) who tells Desdemona’s pastor father (Amaechi Abuah ‘21) about their secret relationship. Othello becomes upset and takes revenge on Emilie (Lauryn Smith ‘21) who she believes had been sleeping with Desdemona. Othello attacks Emilie, and Desdemona, in a fit of rage, is left to deal with the consequences in a scene where she talks with James Baldwin (Amaechi Abuah ‘21) and Audre Lorde (Shelby Billups ‘20) about her life and society as a whole. The play clearly portrayed repression and judgment by society in a powerful way through the contrary religious views shown by the characters and the preacher’s rage against his daughter for her doing what she wanted. It was a powerful piece that dramatically embraced complex themes with a narrative that transcended time with its concerns about society and the path to growth. At a different pace, Meena Chen ‘21 performed a traditional indian dance in the Bharatanatyam style which she had not performed before at Swarthmore. She stunned the audience with precise movements and engaging rhythms that captivated the audience with each hit. Before her performance, she spoke about how she was happy to have the opportunity to perform a piece that was important to her. The crowd could tell her performance was masterful and inspired as it blew them away. 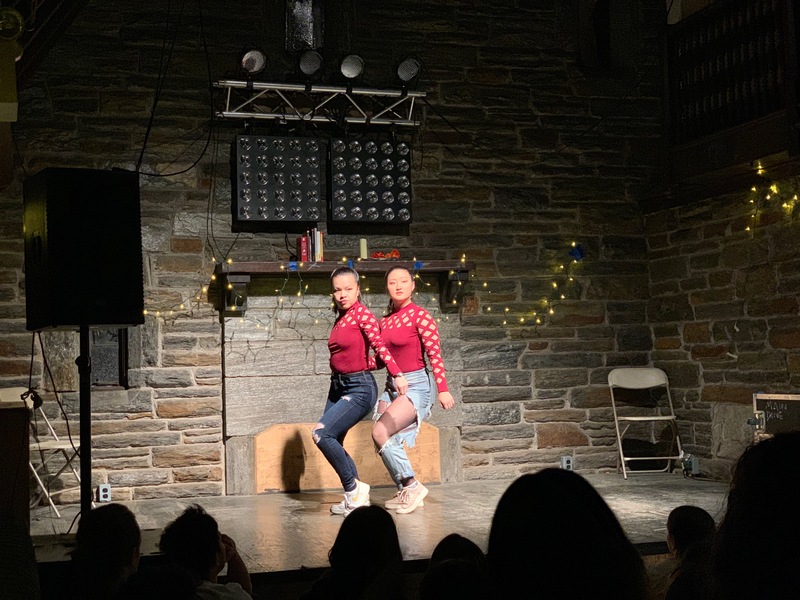 Finally, the show closed out with a performance of Lali Pizarro ‘20 and Yasmeen Namazie ‘19 who recited a spoken word poem about their identities as Latina women. The piece titled “For women who build themselves into homes” describes how they had been accused of being too much or too little throughout their lives, they transitioned to a powerful message of radical self-respect and empowerment. Their performance was powerful, drawing tears from some in the audience as they poured out their hearts into the art that they made. While the performances were the star of the show, a lot of time and effort went into the production and management of the festival. Specifically, two people put in the most work to create this space, Dana and Billups, brought RevFest back and made it “bigger than last year,” as Shelby described in an email. In the same email to the Phoenix, Billups highlighted the importance of its message and its people. It is RevFest’s second year, and Billups mentioned how they made some changes to the festival to allow it to reach a wider audience. She talked most, however, about the spirit of the festival. Combining powerful performances and powerful messages, RevFest packed Olde Club both nights and impacted every last audience member. The Festival brought together all art forms in an eclectic mashup of art forms from all around the world, coming together to bring a truly monumental performance to stage here at Swarthmore.